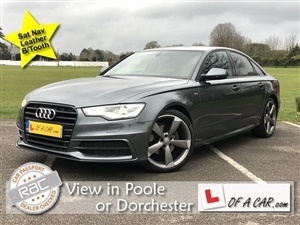 L of a Car in Dorchester & Poole are pleased to offer this High Spec Audi A6 Limited Black Edition Luxury Saloon. Finance Available - 6 Months Warranty - Buy from a company that has been around for over a decade ! , 6 months warranty, 12 months MOT, Full service history, Grey, 2 owners, with over 45 Vehicles in Group Stock please visit our Website Today ! Located in Dorchester & Poole, £11,495 p/x welcome.